There is no right or wrong way to feel after your abortion. Some women may feel relieved at first, and some women regret their decision right away. Some women have deep feelings of loss, and others may not feel much at all. Relief, anger, sadness, and hope can all exist at one time. ​Some women avoid talking through their feelings because they feel ashamed, or they fear the judgment of others. Do you feel alone with the memory of an abortion that you chose to have? 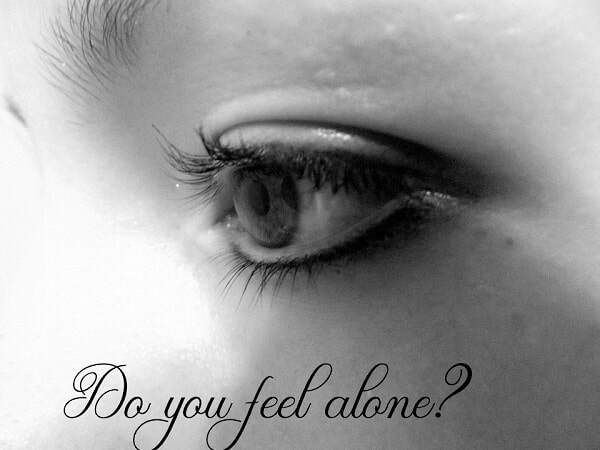 If so...you are not alone my dear friend. It is stated that 1 in 4 women in the United States will have an abortion by age 45. ​ & getting the emotional help they need. Painful thoughts and emotions - guilt, anger and grief, all can arise from an abortion experience. It is difficult to come to peace with GOD, yourself and others involved in the pregnancy and decision. Does any of this describe your journey and what you are feeling? Vanessa 60HA from VirtueMedia on Vimeo. When you recognize your NEED to come to terms with a past abortion, consider these important steps. The first step toward healing is a "peeling away" of the callus that has formed by months or years of denying and repressing the painful emotions. Your feelings have been bundled up and hidden inside, too painful to deal with - but they are like a smoldering fire. These feelings affect your present choices and behavior. You must find a safe, supportive environment in which you can talk about your experience. If you hold spiritual belief... you long-term healing will come only when you are reconciled with God. If you struggle with the feeling that you are unworthy, or a second-class citizen in HIS eyes, you may turn away from HIM completely or try to be "good enough" for GOD to forgive you. Or, you may know that GOD can forgive any sin, yet you cannot accept it in your heart because you cannot forgive yourself. ​ Your sin debt is paid. The Bible clearly teaches that God has already made provision for your forgiveness through the sacrifice of Jesus as full payment for any and all sins we commit. Do not let guilt fool you into believing that you must do something yourself. When we accept responsibility for our choices and express our sorrow to HIM, He is ready and waiting to open His arms and draw us into a comforting, grace-filled relationship as His child. He is as grieved as we are about our choices, yet longs for us to come to Him. Until you openly acknowledge the pain and emotional feelings inside about your abortion, you will not get rid of the anger. Yes, grieve a pregnancy loss. Work through your grief and include the thinking of your baby as a real individual, write down thoughts and have a quiet, private memorial time. Many pregnancy resource centers host small, confidential groups where you can walk this path together with other women. Release this baby to God, as this child is in a heavenly home! Many women feel hopeless about ever resolving the pain connected with an abortion. But healing IS possible and God is as close as the air we breathe, waiting to hear our whispered cries for help. Thousands of women will seek and receive help this year, you can be one of them. Thousands of women will find peace - you can be one of them. If He forgives me, I really have no option but to accept His forgiveness and forgive myself. So forgive yourself. Find peace through Christ. So...will you make the decision to forgive yourself right now? Tell God you’re sorry for your choices. Ask God to forgive you. Then "know" that you are beginning a new life living through Christ. Finally, "know" that your sweet baby is in His arms and one day you will be united! Living in His forgiveness is where peace is found. It doesn’t matter if your abortion was yesterday or 20 years ago. Option Line can help you find support. If you’re looking for emotional support after abortion, you can chat with someone this moment. Text HELPLINE to 313131, send us a message, or call 1-800-712-4357. Women truly want to help you.